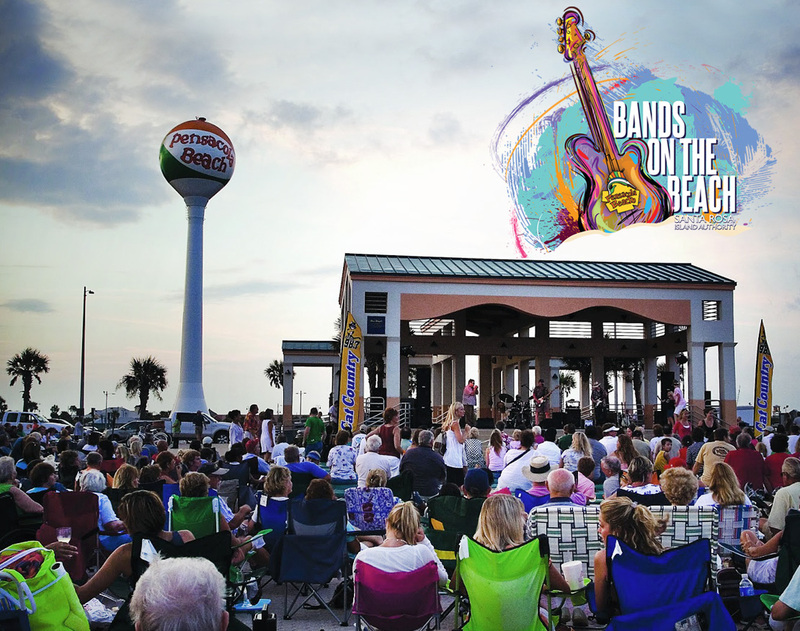 March 1, 2016 – Pensacola Beach, Fla. –Pensacola Beach’s traditional outdoor event, Bands on the Beach, is back! The free concert series is held each Tuesday night from 7-9 p.m. beginning on April 5 until October 25. Organized by the Santa Rosa Island Authority, Bands on the Beach delivers an eclectic musical experience throughout the entire summer featuring a lineup of regional artists. The event is open to the public and located at the Gulfside Pavilion on Casino Beach. Spectators are encouraged to bring their own lawn chairs and blankets, however pets and glass are prohibited. For more information, call the SRIA at (850) 932-2257, go to www.visitpensacolabeach.com or tune to Cat Country 98.7 for the latest updates.